After years of teaching Shakespeare’s Romeo and Juliet I finally broke down and bought Shakespeare Set Free. I have wanted this book for several years but then again I always want new books for my classroom and often indulge myself. One has to draw the line somewhere when it comes to spending money on my classroom. I don’t like to think about the thousands of dollars I have spent on supplies throughout my teaching career. I later learned that indeed there is a Pageant of the Masters that has been taking place for over 80 years in Laguna Beach, California. I showed the students the video below with some trepidation. I wondered if it was one of things that I thought was really cool but my students did not. Much to my chagrin they loved it and were totally inspired. After showing this video I shared with my students the following Google Slides Presentation from this original lesson from k6art.com. Below you can see some of the paintings my students replicated. 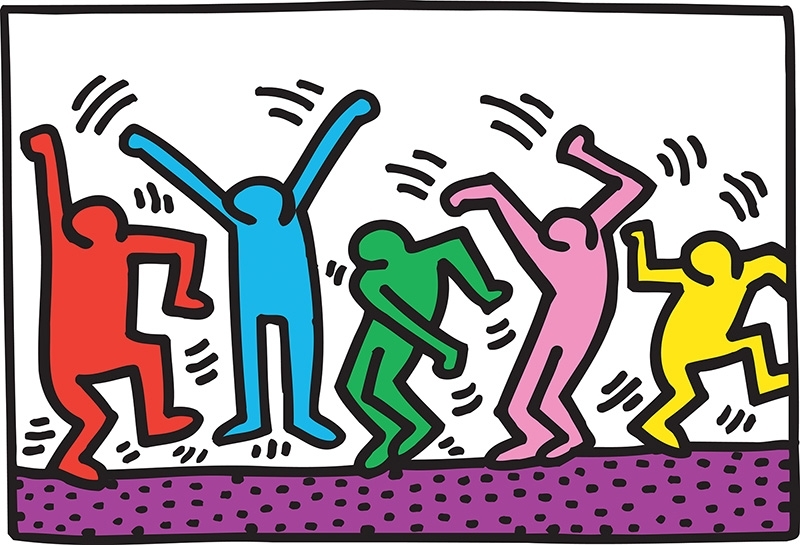 Below is Keith Haring’s Five Dancing Figures. Once my students mastered the concept of tableaux vivants, we read Act 3, Scene 1 of Romeo and Juliet. I broke students up into groups: one group of two students, one group of three students, one group of four students, and one group of five students. I assigned them different sections of the scene. I gave students the end of one period and another class period to complete their planning process for their performance. 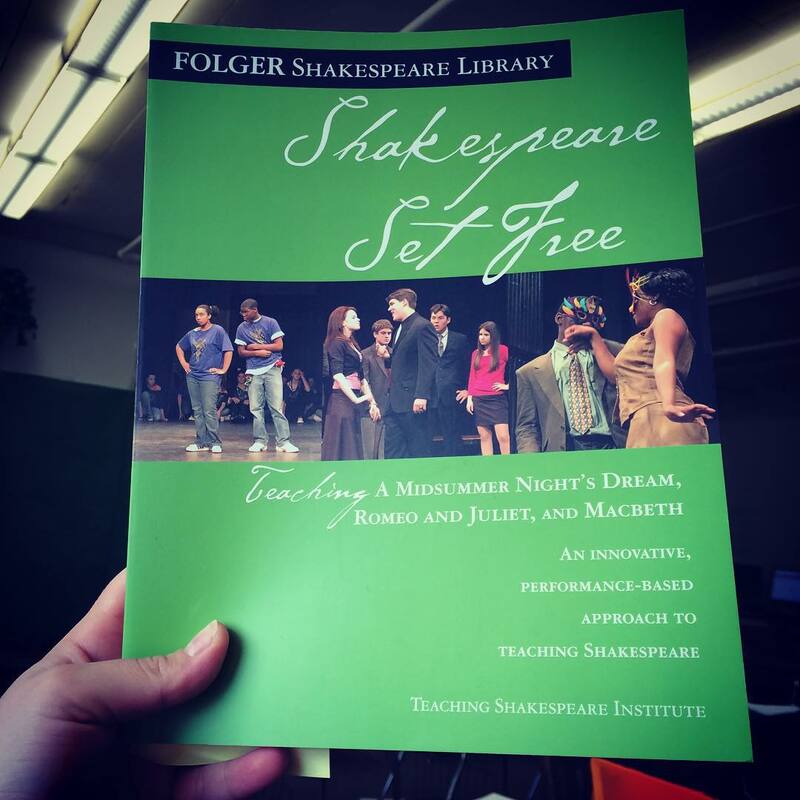 If you buy the Shakespeare Set Free book there is a corresponding worksheet with this lesson. The worksheet helps to organize students’ planning. I also challenged students to consider blocking their performance and adding costume elements. I don’t expect students to be in full costume as that is not the point of the exercise. It just enhances the performance. Students presented their tableaux vivants and they were amazing. I truly feel like they gained a deeper understanding of Romeo and Juliet’s characters and their motivations. Plus students had so much fun! It can be hard to get students excited about Shakespeare and the students LOVED this exercise. They loved the acting aspects and also I feel like they truly appreciated the art pieces I showed them. 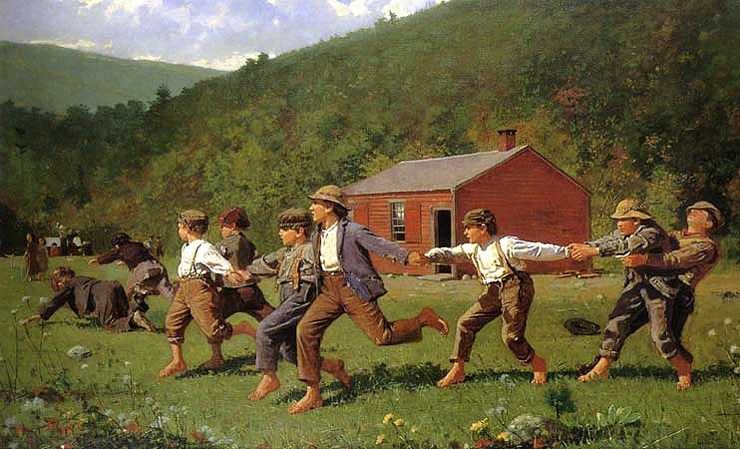 I highly recommend incorporating tableaux vivants into your lesson plans. They are FUN!